Marian Rivera is super proud of her daughter Maria letizia, Zia is the new face of Nido 3+. At the age of 3 Zia has become an indemand endorser. Marian proudly posted photos of Zia frok her new endorsement. “Iba talaga kapag 3 years old na. So excited for Zia’s adventures with the milk that she loves. 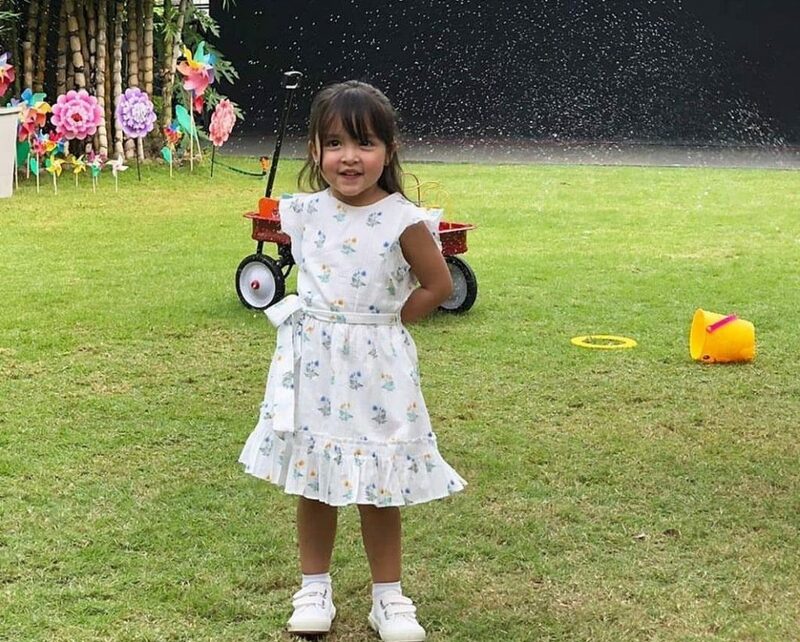 Base on the tvc,n it seem like Zia is destined to be a star just like her celebrity parents. Zia is very goo at acting, and she us just 3 years old. But we are not surprise at all, both of Zia’s parents Dingdong and Marian are great actors. Zia did not let her Mama overshadowed her, she showed different emotions for Nido 3+ tvc. People are now expecting that Zia will do more tvc in the future. But Marian and Dingdong are very careful about endorsement offers to Zia. Marian said, for Zia doing commercials are just like playing. Maybe that’s why her tvc is very natural. Though there’s a lot of offers for Zia, they don’t want Zia to get tired that is why they are choosing carefully what to accept and what to declined. Marian and Zi also did a radio jingle for Nido 3+ and it’s probably the most adorable radio jingle you will ever heard. One little two little 3… Na si Zia! Kaya ang likot ang kulit na.. ni Zia!